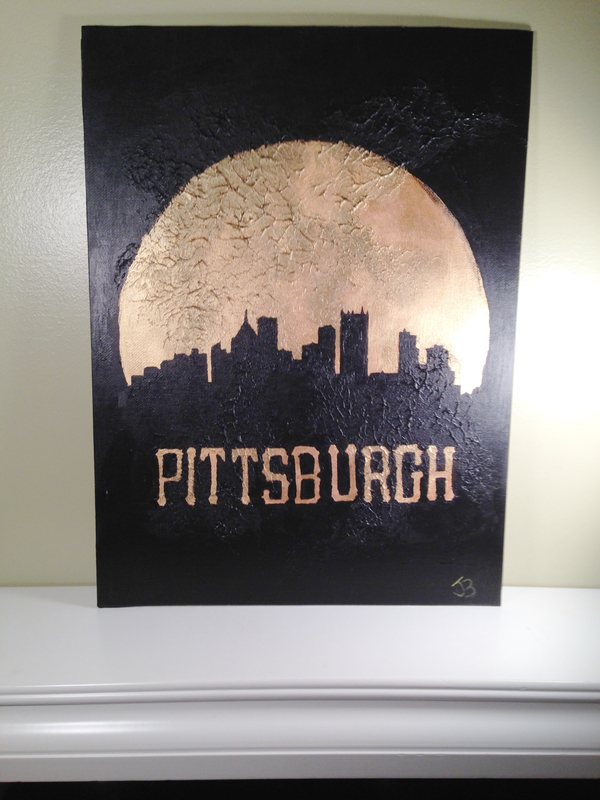 So my new Pittsburgh and Columbus paintings are completed and available on my Etsy Store. Its been a fun challenge to try to set these up and complete them, but I’m pleased with how they have come out and all that I’ve learned in creating them. 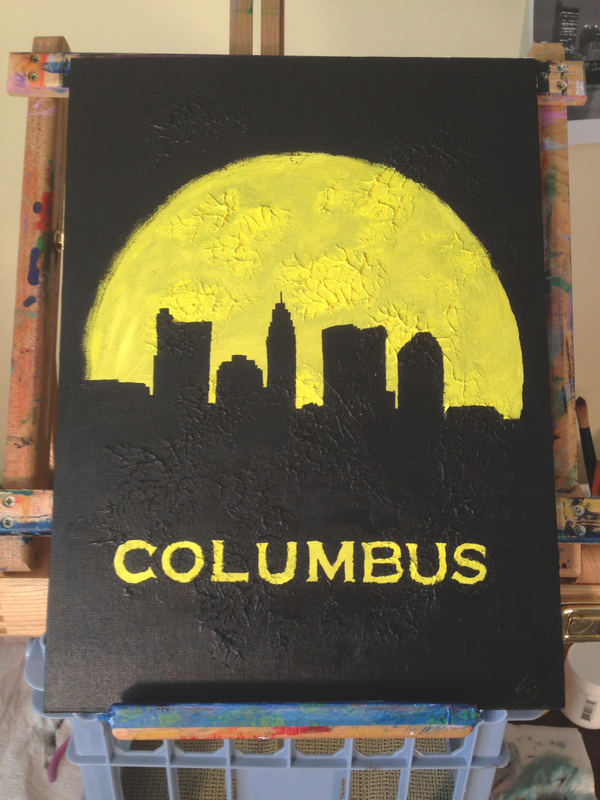 The skyline of my city in one of the home town color sets. My parent’s hometown skyline silhouetted against a golden moon. 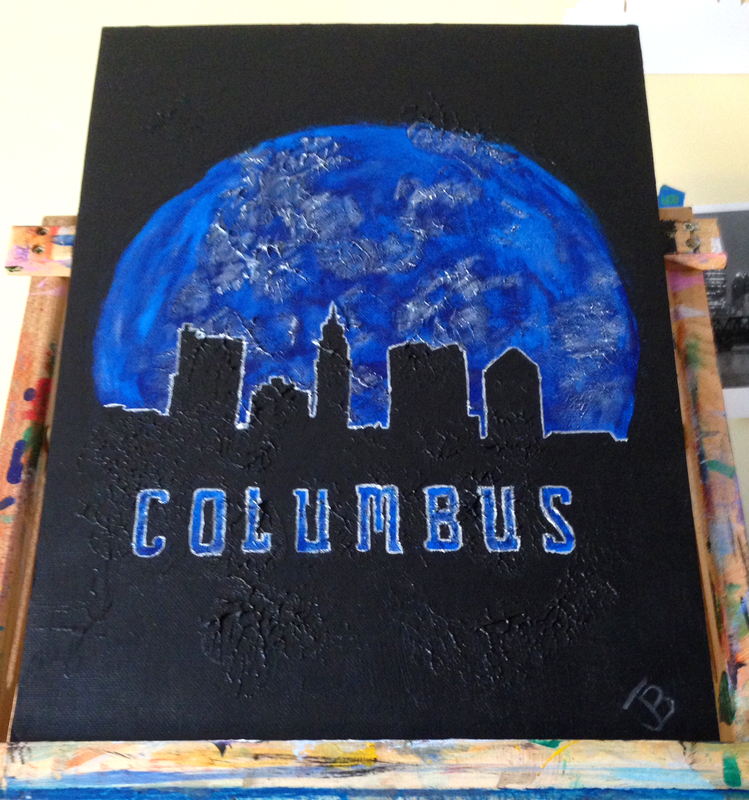 Here is the second of my home city paintings. Blue and silver with an outline for contrast.